= Kore, doko no ekiben? = Where did you get this railway lunch box? Today I will teach you some travel related lesson. Hopefully, you’ll find this lesson helpful when you come to Japan to visit — especially when you use public transport. = Toukyou eki ni iku niwa nanisen ni noranakareba ikemasen ka? 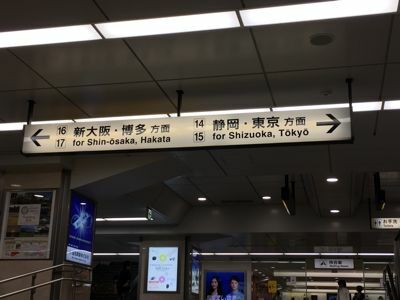 = Which line should I take to get to Tokyo station? = Joushaken, Tokyuuken wo haiken itashimasu. = I would like to see your passenger ticket and limited express ticket. Every railway company has its name for the first/last train of the day but here are the basic ones. = Doko de norikae wo shitara ii desuka? = Where should I transfer? It is also important to understand how people give you directions. = Koko kara mittsume no eki desu. = It’s the third stop from here. = Tsugi no eki de orite kudasai. = Please get off at the next station. = Shinjuku de Yamanotesen ni norikaete kudasai. = Please change to Yanote Line and at Shinjuku (station). *新幹線 ( = shinkansen), bullet train, has three kinds. If you are going to visit Japan as a tourist, I highly recommend the Japan Rail Pass. It is only valid for temporary visitors. 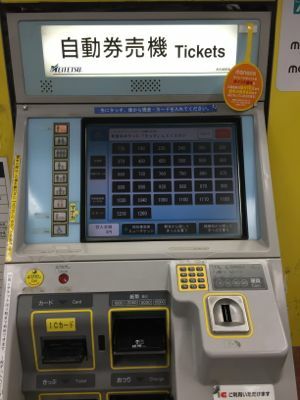 It is possible to buy tickets online if you travel with JR East. (Currently you cannot buy all the train tickets online in Japan.) or at any major travel agencies. But if you need to go buy tickets at the station,you can buy tickets with a vending machine. Now let’s learn how to buy 新幹線 (= Shinkansen) bullet train ticket here. It will be easier if you check the time and the name of the train in advance. = Hichigatsu tsuitachi, Toukyou hatsu, juuji juppun, Kyouto iki, Nozomi nijuusan no kippu wo nimai kudasai. = I would like two seats on Nozomi 23 leaving at 10:10 leaving Tokyo on July 1st to Kyoto. There are train seat reservation form at tickets office. You can just fill this out and hand it over at the window. 乗車券、特急券申込書= joushaken, tokyuuken moushikomisho = application for regular basic fare ticket and limited express ticket. = Ojikan no gokibou wa? = Yes, what time would like (to leave)? = Asa, kujigoro ga ii desu. = I would like around 9:00 one. = Asa juuji goro ni Toukyou wo detai no desu. = I would like to leave Tokyo around 10:00 a.m.
= Hiru no ichiji niwa Kyouto ni tsuite itai no desu ga.
= I would like to arrive in Kyoto by 1:00 p.m.
= Ichiji no Nozomi wa mou manseki to natteorimasu. = The 1:00 Nozomi is already full. = Motto hayai/osoi shinkansen wa arimasuka? = Do you have an earlier / later bullet train? = Oseki wa kochira kara oerabi itadakimasu. = You can choose your seats from here. = Tonaridoushi no seki wo onegai shimasu. = Tsuuro gawa wo onegai shimasu. = I’d like an aisle seat please. = Guriin sha de onegai shimasu. = With first class please. = Guriinsha dato oikura ni narimasuka? = How much would be if I travel in first class? = I will be just fine with no-reserved seat. Note: If you travel during peak times or during holidays, it would be safer to book your seat, but if it is off peak time or weekdays, you could travel in no-reserved seats. →自由席 = jiyuuseki = no-reserved seats. They are less expensive so the number of seats are limited. Usually Cars 1~3 or 1~4 are designated as non-reserved seating. You have to stand in line for a certain number of cars. Every bus service has different way of paying. = Kono basu wa Toukyou eki made ikimasuka? = Does this bus goes to Tokyo Station? = Toukyou eki made donogurai kakarimasu ka? = How long does it take to get to Tokyo Station? = Eki ni tsuitara oshiete itadakemasuka? = Could you tell me when we get to the station? = Heian Jinguu ni iku niwa doko de oritara ii desu ka? = Kyouto eki iki no basu wa nanban desuka? = Which number of the bus I should take to go to Kyoto Station? = Kono basu wa Kinkakuji made ikimasu ka? = Does this take me to Kinkakuji temple? so be careful if you are the only man on the carriage on a train. You might get stared at. = Yoyogi kouen ni iku niwa dono deguchi ga ichiban chikai desuka? = Which exist is the closest to Yoyogi park? = We are leaving now. You can try listening to the announcements at the station or on the train. = Sanban sen yori Odawara iki no ressha ga hassha itashimasu. = The train for Odawara will leave from Track No.3. = Mamonaku ichiban sen ni juuji sanjuppun hatsu Odawara iki no ressha ga touchaku itashimasu. = The 10:30 train for Odawara will arrive on track No.3 soon. = Hakusen made sagatte omachi kudasai. = Please stand behind the white line. = Jiyuuseki wa ichigousha kara yongosha made desu. = Cars 1 through 4 are for passengers without seat reservations. = Kochirawa Osaka iki no hikarigou desu. Tochuu, Nagoya, Kyouto ni teisha itashimasu. =This is the Hikari Super Express bound for Osaka. It will be stopping at Nagoya and Kyoto before arriving Osaka. = Kinen sharyou dewa dekki deno otabako mo goenryo kudasai. = Please refrain from smoking in the areas at either end of the non-smoking cars. = Keitai denwa goshiyou ni tsuite onegai wo itashimasu. Keitai denwa goshiyou wa dekii de onegai itashimasu. = We ask that portable phones be used only in the areas at either end of each car. You may not be able to understand the whole thing but try to catch some important words. = We will stop (at the station) for three minutes. Every big city has its own special IC transportation cards such as 「Kitaca」「PASMO」「TOICA」「manaca」「ICOCA」「PiTaPa」「SUGOCA」「nimoca」「はやかけん = Hayakaken」throughout Japan. You need to charge a certain amount of money, and it is a bit complicated to buy one the first time with a machine but if you are planning to live or stay in Japan for a long time, it will come very handy. Once you buy one and if you put enough money you can use it wherever you travel and you can even use it at a convenience stores or vending machines at a station. 駅弁 (= ekiben) is a railway boxed meal which you can buy on the train or at stands on the platform or inside the station. There is a great variety of ekiben and every station has its own special meal using the local cuisine. If you get a chance to travel around Japan by train, be sure to try one or two. = Kore kara ryokou wo suru niwa ii kisetu desuyo. = Dokoka ni ryokou ni ittara, oishii ekiben wo katte kitene. Maggie 先生! Thank you for your various lessons – I’m heading to Japan soon and am very excited and very thankful for your useful phrases. I have a question to ask – I will be using the Kansai One Pass while in Kansai, which is refundable with a handling fee. I intend to ask for a refund when I leave Kansai but am not sure how I should do this. 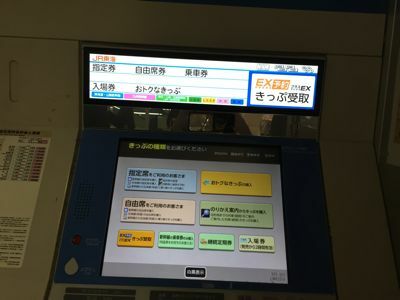 Is it okay to take the card to the ticket station and say “返品がしたいです”? Thank you again for your help! Wow, you are coming to Japan. How exciting! Kansai One Pass is relatively a new pass. Here is the details of the pass. You can check the locations where you can get/refund the pass. 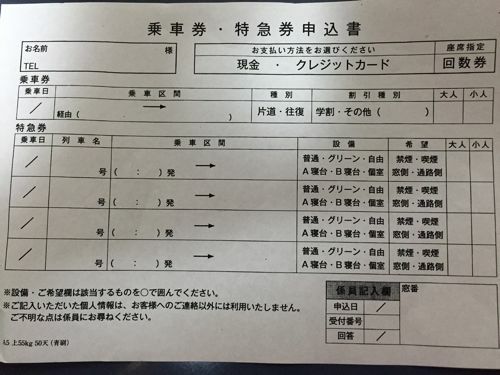 They will charge 手数料（てすうりょう）handling fee from the deposit. Sensei could you explain how to ask a station master/someone if certain trains/bus are covered by a travel pass? Will this bus that go to Motosuko lake fee is covered by Fuji-Hakone pass? Motosuko iki no basu wa Fuji-Hakone shuuyuuken de noremasu ka? Motosuko iki no basu wa FUji-Hankone shuuyuuken ga tsukaemasu ka? Great information here, as always. I know the announcement at the station is very fast and hard to hear. I hope I got your question but you want to know what the announcement says when a local train has to wait for the rapid train passes at the station? = Tokyuu ressha tsuukamachi wo itashimasu. Thank you for mentioning us on your site! Hope you get to come to Japan,too! Haha, don’t worry about all the kanji so much. But it will help if you recognize some of them, such as 方面=houmen= For (destination) / ~ 線(=sen) ~ Line, etc. I’ve just found you blog and it looks totally 面白い! There are many lessons here. Hope you come back here again and again.